Painting gourds adds a little whimsy and color to your fall decor. 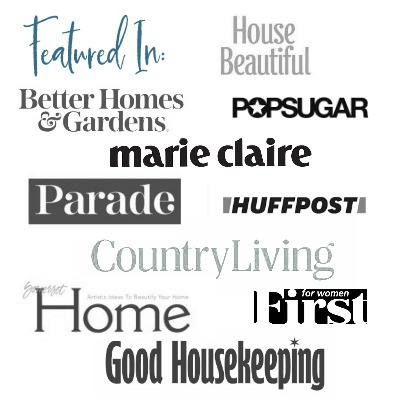 Add a small hole, and you have a cute birdhouse look for your mantel or other vignettes. Painting gourds is a great project to do with the kids, or even with a group of girlfriends when hosting a girls night out. The process is pretty simple and the cost is minimal. Perfect for decorating during the fall season, or really any time of year. The gourd bowls above were painted by myself and my daughters 15 years ago. We were on vacation at Wintergreen resort, and they offered this wonderful activity for families. I remember that they used dried out gourds for this project. They were already carved for us. All we did was paint them with leather paints provided by the resort. Since I had these old gourds laying around, I decided to paint them for our fall mantel. First I drilled a hole to give them a birdhouse look. All you need is a small hole saw blade that you can attach to your drill. Use a nail to make a pilot hole first. That helps keep the drill from jumping around. Clean out the gourds by shaking out any old seeds or fiber. There were quite a few old seeds inside. Then use some sandpaper or an emery board to smooth out the opening. In Wintergreen we used leather paints , and since I had some that is what I used here. I’m not really sure why but I bet you could use craft paints instead. Maybe give them a coat of spray poly for extra protection. I really like the way they turned out. Vibrant with a nice cozy autumn feel. 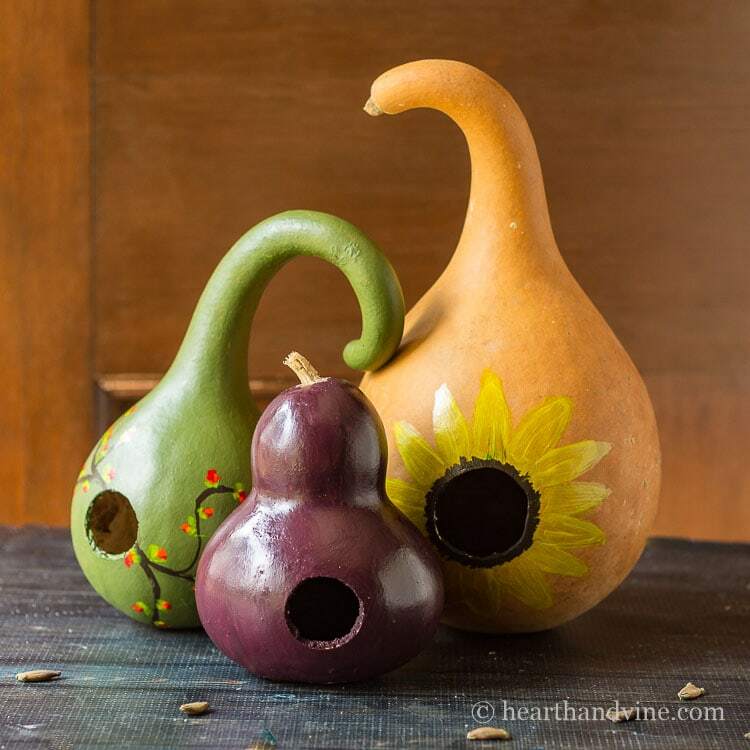 Note: These painted gourds are meant to be decorative birdhouses only, and should be kept indoors. These are cute, love simple crafts that make a fun statement and your color choice was perfect. Its been forever since I’ve painted something like this…. Great idea!! I’m so glad you like the gourds. Though I do like their natural beauty, it was fun to paint them and add a little color to my fall decor.